Rosalie has an old soul and a young heart. 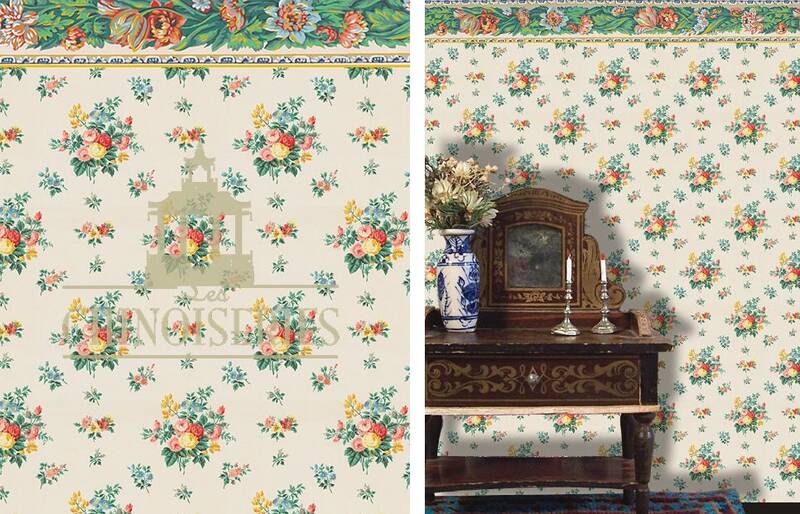 A vintage feel that blooms with rose bouquets of yellow and orange with Invigorating greenery. 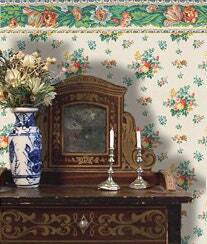 You might consider bringing the border down as chair rail, it is punctuated with elegant tulips.